On construction sites across the country and within different types of industry where heavy plant and machinery are required on a daily basis, you will see a need for telehandlers. Whether you choose to purchase or hire a telehandler for your specific needs will come down to a certain number of conditions. Why would you should to hire a telehandler? Let’s first take a look at what telehandlers are used for on site. A telehandler is the perfect machinery to be used to lift heavy items, with some models covering the work of both a telehandler and a forklift. This is invaluable in certain situations. In order to minimise the levels of disruption on site that can cause delays and potential hazards, a telehandler can lift and move heavy loads without taking up too much space. Having the flexibility to lift heavy loads at height, and to be able to function effectively both on and off-road is also another huge advantage. 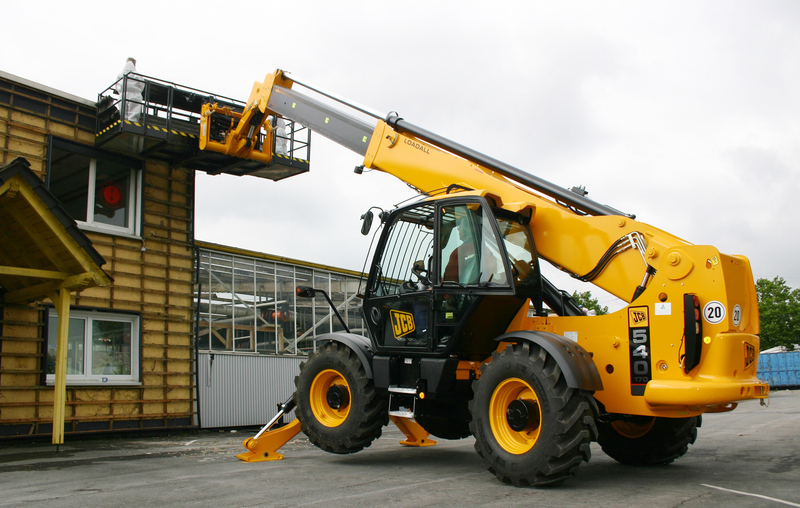 With telehandlers one aspect that should not be overlooked is that they are adaptable. There are a huge number of attachments that are available for telehandlers, with each providing a different type of function and the ability to handle various types of materials. What all of this means is that telehandlers can help you to ensure that the processes and tasks taking place on site are optimised in a way that streamlines projects, keeps them within deadlines and budgets and helps to maintain high standards of health and safety. The benefits are clear, so why should you use a specialist plant hire service in order to hire telehandlers? First, it is a cost effective solution for machinery that could otherwise be cost prohibitive to projects and companies. By using plant hire you are using the machinery for only the specific tasks and project at hand, rather than purchasing something for a long period of time. Second, with plant hire, you know that you are receiving the very latest models of machinery. This ensures that you are not left behind the times with an old model, and the knock-on effect that could have in terms of slower performance and less efficient work processes. This is also the case when you consider the service that plant hire companies will provide in terms of testing, maintenance and replacement. There is less chance of accidents taking place and machinery breaking down on site due to the testing, maintenance and induction training and information provided on each piece of equipment and machinery. The beauty of hiring a telehandler is that you can choose how long you need it for your project. A team of specialist plant hire advisors will be able to offer guidance on the right models for your specific tasks and budgets. From there you know you have experts at hand should you need to seek an upgrade, or change to a different type of machinery mid-project. Always consider the benefits of plant hire when requiring telehandlers for a project. It will help you to maintain standards of health and safety, meet crucial targets and streamline efficiency with the latest models.